The Great British Brass Band – but not as you know it! Speckles Brass play freely improvised music drawing on a hodgepodge of influences as diverse as the musical interests of its members – poetry, art, dance, new sounds, classical harmony, grungy blues – it’s all in there! 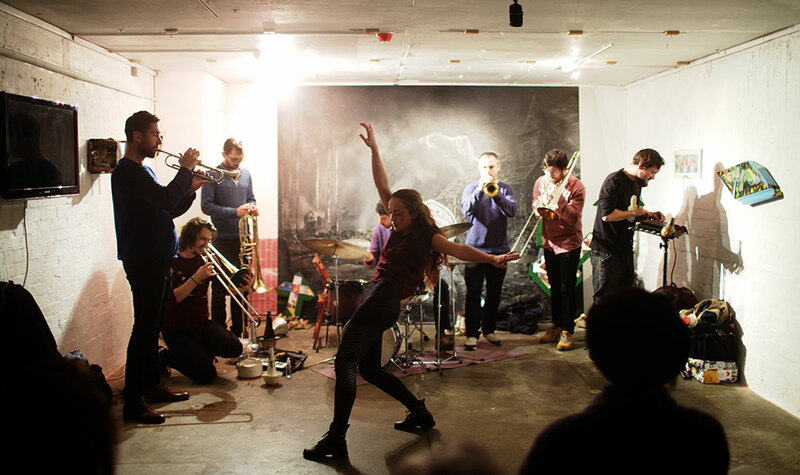 Established by Raph Clarkson and Kieran McLeod in January 2016, Speckles have recently collaborated with unique and creative improvisers such as Joe Wright (sax), Alex Hawkins (piano), Julie Kjaer (sax, bass clarinet and flute), Simon Roth (drums) and Mia Marlen Berg (voice); and will strive to form such musical relationships in the future.